On Monday, April 11, we started to make rosaries that will be distributed at World Youth Day in Kraków, Poland. Our young ladies enjoy making them. 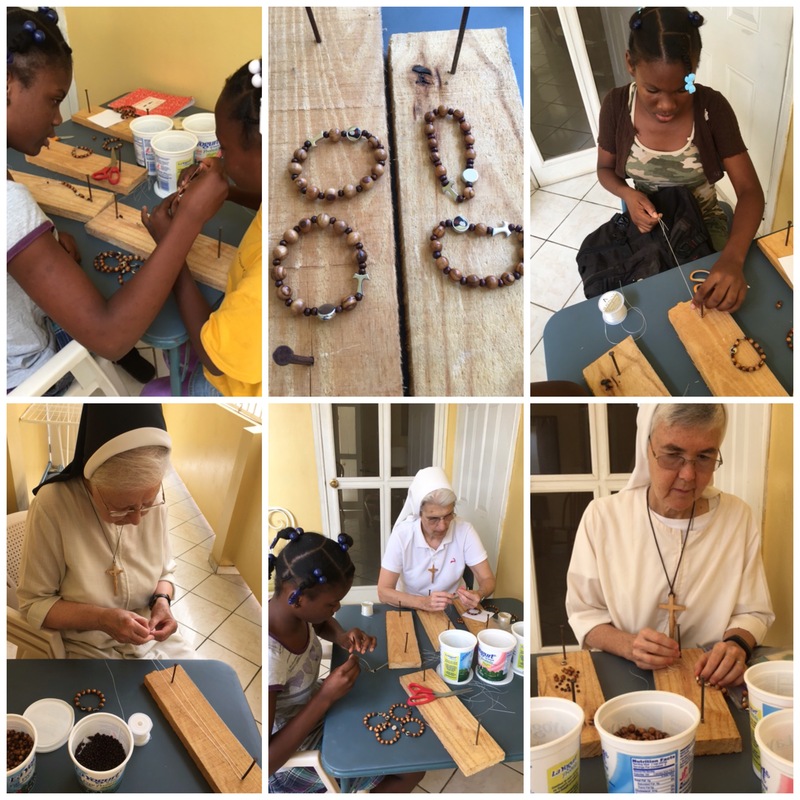 They have even discovered their own way of making these rosary bracelets.